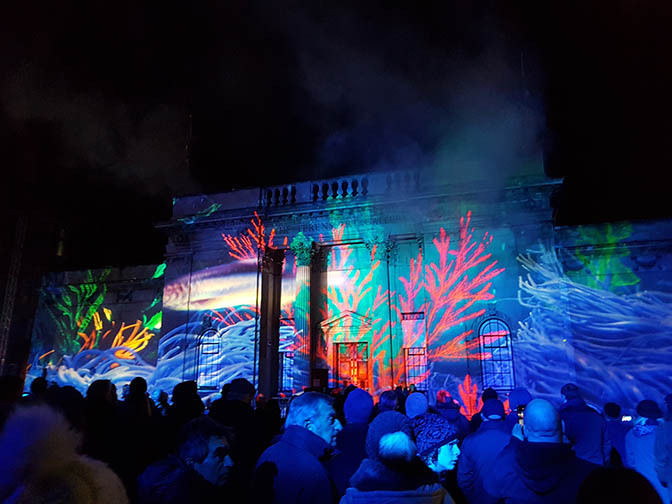 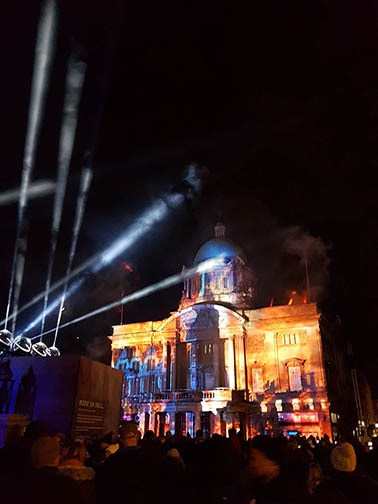 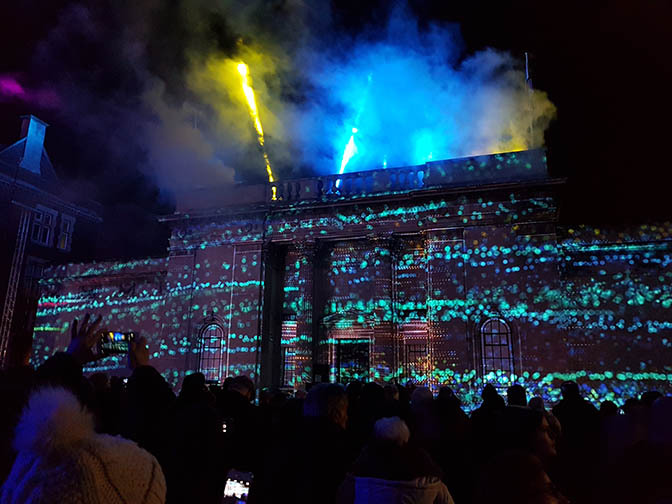 The trail took visitors from the centre of the city at Queen Victoria Square where the city hall, Ferens art gallery and maritime museum were illuminated with videos depicting the fishing port's historic past, including a moving tribute to the trawlermen lost in the Gaul disaster and the Blitz during the second world war. 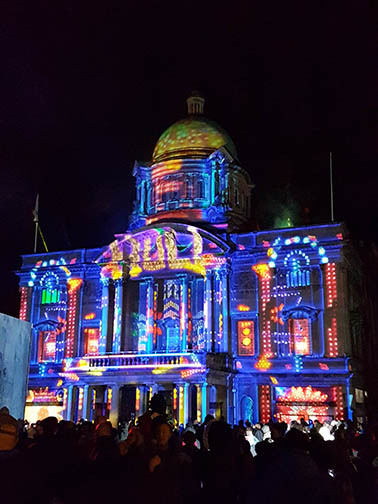 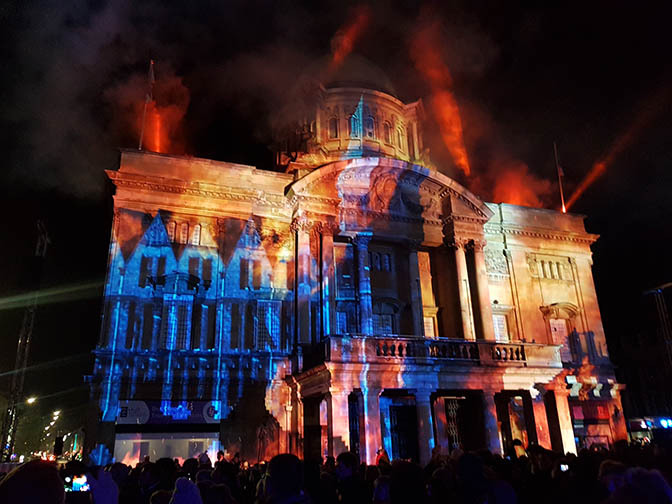 Following the spectacular scenes in the city square, visitors were directed through the Whitefriargate shopping street where vacant shop units were transformed into living works of art showing scenes from Hull's caravan industry and their residents. 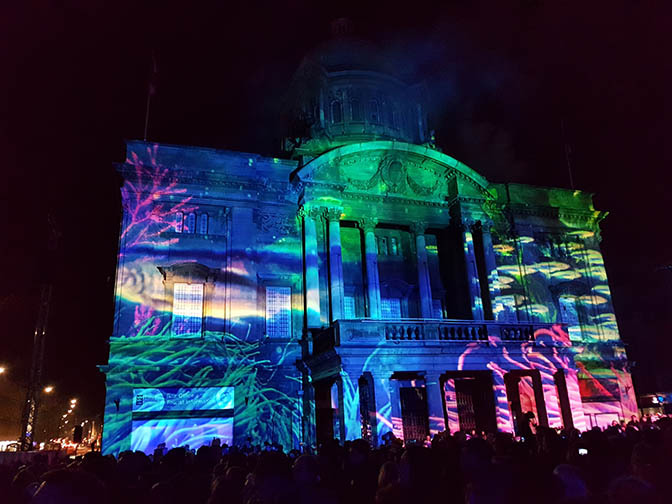 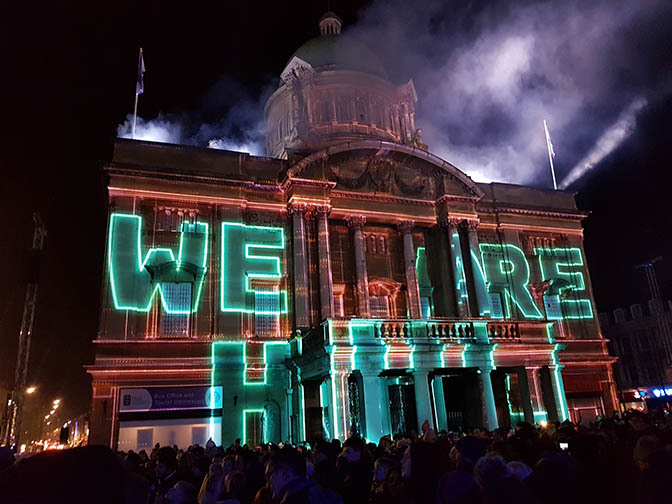 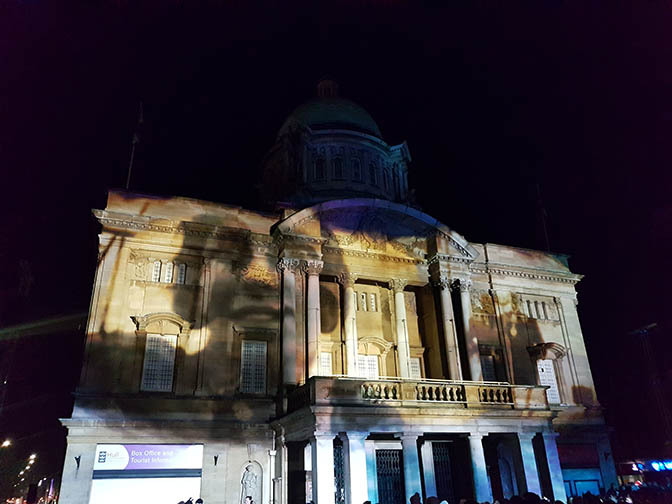 The third stop on the trail was a brief visit to show Hull's somewhat turbulent journey through football with a soundscape inspired by premier league team, Hull City. 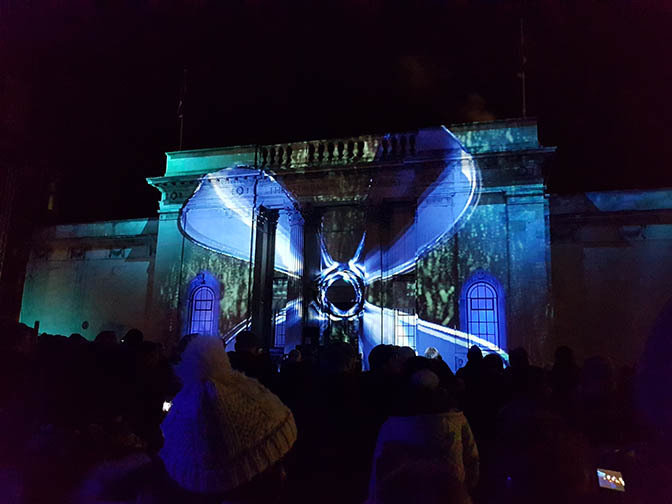 105Db transformed Zebedee's Yard (the former Trinity school playground) into an audio feast.